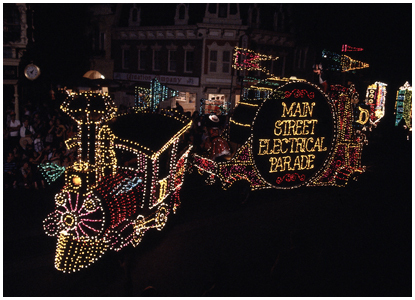 It was a day of deep tension and nerves for those involved in the premiere of Disneyland’s Main Street Electrical Parade, because just two weeks earlier the parade was on the fritz. 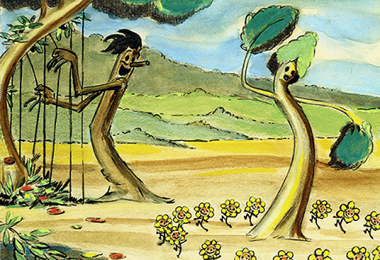 Disney engaged a company in Chicago to build the floats and most were not complete, and work on some hadn’t even begun! 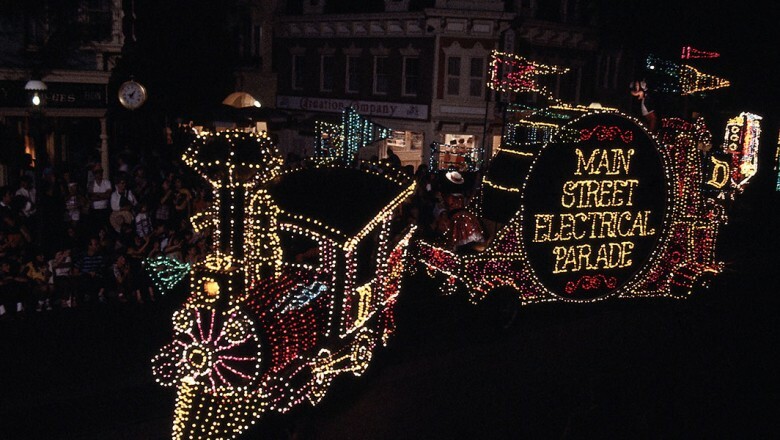 Disneyland’s Vice President of Entertainment Bob Jani and Director of Show Development Ron Miziker decided to have all the units shipped to California in pieces where a second set of electricians and technicians would try to make them all work. Everything was down to “the wire” but when the gates opened for the big premiere, it was all ready, and it was electrifying. 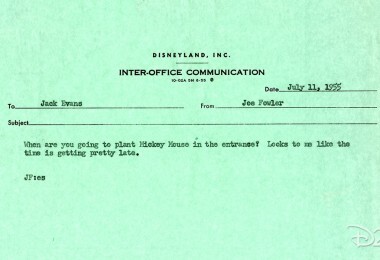 As for the now trademark theme song, Jani originally suggested that music from Fantasia should accompany the new parade of lights, but it was Producer Jack Wagner who felt that it should be something electronic rather than orchestral. 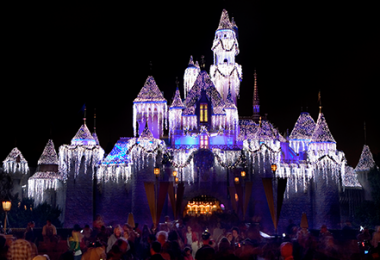 Within 48 hours Wagner discovered Baroque Hoedown on the record album Spotlight on the Moog: Kaleidoscopic Vibrations by Jean Jacques Perrey and Gershon Kingsley, and for the next few decades, that song has accompanied the various versions of the Electrical Parade at Disney theme parks around the world, and it’s still glowing strong!